LOS ANGELES–Two longtime musicians have announced their recent entry into the cannabis space. A veritable symbol of summer and good times, musician Jimmy Buffett on Friday announced a partnership between his Coral Reefer brand and cannabis company Surterra Holding Inc., for a full line of cannabis products including vape pens, edibles, topicals, and capsules. Atlanta-based Surterra has ten dispensaries located in Florida, as well as considerable capital funding from investors. In July, legendary Crosby, Stills, and Nash founding member David Crosby announced his intentions to offer licensing opportunities to cannabis manufacturers with his Mighty Croz brand. Unlike Buffett, who has been involved in various branding and licensing deals with restaurants, hotels, casinos, retirement communities, and Anheuser-Busch, this is Crosby’s first branding opportunity, and it’s because cannabis is a product he’s happy to endorse. After all, this is Dave Crosby, who in 1966 (with the other co-founders of also legendary band The Byrds), wrote the hit song “Eight Miles High.” The same Crosby that famously performed at the Monterrey Jazz Fest and Woodstock–so, cannabis culturally speaking, he’s about as OG as they get. Sponder said they plan a full line of cannabis and CBD products and that Crosby is especially interested in the medicinal benefits of cannabis as a pain reliever, which may offer an effective alternative for patients who are trying to avoid opioid medications.He added that they are interested in hearing from cannabis companies that have long-term goals and expectations. “This is an emerging environment now, where there’s a gold rush frenzy going on, so there’s a lot of new cannabis companies coming around, and a lot of companies that may not survive the shakeout, the inevitable consolidation that will be going on,” Sponder described. “So we’re being very careful to get in with a company that’s going to be around for the long haul.“What we found is; it’s the companies that are Canadian-based–but they do business around the world–are several of the ones that we’re taking seriously. Because first of all, they can do business there, they can actually bank it, and operate legally out of Canada, because it’s legal federally there,” he said. “There’s been a dozen companies that have approached us, everything from startups to the largest publicly-traded cannabis companies,” Sponder added. “And in some ways the funded startups are more attractive to us because they can be entrepreneurial and nimble, and they don’t already have their hands in fifty different things going on, and they’re not just focused on raising their next round of money and make their next acquisition.”“Those are the ones that are showing us some of the most creative business plans about what they would do with David’s brand, both recreationally and medically,” he said. The Mighty Croz is also looking for partners outside the cannabis space. They have room on the brand’s board for creative and business visionaries–like, maybe Elon Musk? They’ve given him a shout-out on Twitter and on the brand’s website – and Sponder says both he and Crosby are fans.Musk, who has Canadian citizenship, caused quite a tempest in a teapot on September 7, after a video showed him puff on a blunt with podcast host and cannabis advocate Joe Rogan. Crosby joins a growing group of celebrities that are coming out about their own cannabis use or are already actively marketing a cannabis brand, including musicians Willie Nelson, Melissa Etheridge, Gene Simmons (of KISS), and Snoop Dog, just to name a few. Cypress Hill’s BReal, longtime cannabis advocate and rapper, recently opened Dr. Greenthumb’s dispensary in Sylmar, California. Comedian and “The View” host Whoopi Goldberg is a partner in cannabis topical brand Whoopi & Maya. Just last week in an interview with The Vancouver Sun, TV talk show host Chelsea Handler said she’d been “re-introduced” to cannabis after the 2016 election of Donald Trump, and as an alternative to alcohol, which she also enjoys. 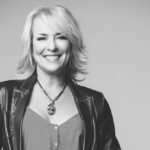 Handler is currently on a seven-city Canadian tour called A Civilized Conversation with Chelsea Handler, hosted by cannabis lifestyle media company Civilized publisher Derek Riedle. Canadian cannabis companies also had a presence at last week’s Toronto International Film Festival (TIFF), with several reportedly hosting pop-up stores and special events with celebrity DJs and chefs. Aurora Cannabis (TSX: ACB), one of Canada’s largest cannabis producers, was an official corporate partner of the festival and hosted several film premieres and festival special events during the week, according to Bloomberg Canada. Cronos Group Inc. (TSX: CRON), another Canadian mega-producer, also hosted special events at TIFF. With recreational cannabis sales ready to launch in Canada, on October 17, Canadian companies are seeking to differentiate themselves and distinguish their brands on a global scale. Canadian regulations currently do not allow sales of cannabis vape pens, edibles, or concentrates, but California-based vape pen company Doist, who has been lobbying the government there to allow sales, also hosted events at TIFF. David Crosby is currently on tour in Italy and was unavailable for comment at the time of this post.